The culinary industry in Alabama in booming, with over 24,600 new jobs expected by 2026. Birmingham is one of the fastest growing cities in the nation for culinary job opportunities. Revenue of over $7.8 billion each year is brought into Alabama’s economy through restaurant and beverage establishments. Alabama has many culinary schools that are striving to meet the demand for highly educated culinary professionals. We created a list of the top 10 best culinary schools in Alabama. Schools that made our list offer hands-on programs, a wide variety of coursework, externship/internship opportunities, and professional level instruction. Many programs are also accredited by the American Culinary Federation, an indicator of academic rigor. Lawson State Community College in Birmingham is a top culinary school featuring a brand new state-of-the-art culinary facility. The new AAS degree program in Culinary Arts provides the advanced training that professionals need to move up the career ladder in the competitive culinary industry. Students have the opportunity to complete work study or externship opportunities at some of the finest restaurants in the area, which may lead to permanent employment after graduation. Coursework covers a variety of areas such as food preparation, desserts, menu preparation, and cost control. An AAS in Culinary Arts from Shelton State Community College will transform the way students view food preparation and the culinary arts. This two year program includes intensive hands on instruction in a newly renovated kitchen where most classes take place. State-of-the-art equipment is available to students, similar to what they will find in a real commercial kitchen. Students learn a wide variety of skills including dessert and entrée preparation, catering, menu development, and management. Coursework is as unique as the program, covering areas such as chocolate and truffles, plated dessert design, aromatic and flavor combinations, meal management, and sculpture. An internship opportunity is required to gain professional work experience. The University of North Alabama has a top culinary program featuring a state of the art professional kitchen with a baking area, multiple prep units, main kitchen, and classrooms. Future plans include a demonstration kitchen and a cafeteria. This accredited culinary program prepares students for the field with instruction in facilities management, budget and cost control, cultural diversity, and food preparation. The culinary arts club provides students with the opportunity to network while participating in community and department activities. Graduates are prepared to be successful in positions such as restaurant manager, chef, catering manager, and culinary entrepreneur. The Birmingham Culinard program offers both a Culinary Arts Diploma and Pastry Arts Diploma. This top culinary school is extremely selective with their instructors, only hiring the best in the industry. Diploma programs can be completed in just 36 weeks each. Both pastry and culinary students have access to state-of-the-art kitchen facilities, similar to what they would find at a top restaurant or baking facility. Students learn the latest trends and techniques in the field to become more marketable once they graduate. Class sizes are small to allow additional time for individualized attention. The Culinary Arts program at J.F. Drake State Community and Technical College features both an AAS degree and certificate option. Both options require apprenticeship courses which are key to gaining professional experience. Students spend up to 30 hours per week working in the field under experienced professionals. Coursework covers nutrition, purchasing, preparation, meal presentation, customer service, and management training. Students receive assistance finding employment in the field and can expect to be qualified for positions such as servers, line cooks, and chefs. The Mobile, Alabama Culinard program features both a Culinary Arts Diploma and a Pastry Arts Diploma that can be earned together or as separate credentials. The program is accredited by the American Culinary Federation and provides exceptional training and instruction for students who want an intensive program. Students of both programs complete a culinary externship opportunity where they work under certified chefs to gain professional experience before they complete the program. At the end of the program, students have a working understanding of the culinary industry, are able to produce a high quality product, and can demonstrate proper culinary technique in cooking. Wallace State Community College offers a five semester AAS degree in the Culinary Arts both classroom and laboratory instruction from experienced culinary professionals. Wallace State Community College will soon be adding a Pastry Arts concentration to its program and is in the process of adding a pastry lab. The Culinary Arts program features intensive training as students learn safe food handling, food processing, cooking techniques, management, and nutrition. Graduates have gone on to work in a variety of positions including Prep Cook, Sous Chef, and Head Cook. The Culinary Arts program at Trenholm State Technical College has earned exemplary status by the American Culinary Federation. Students come from around the globe (18 countries and 30 different states to be exact!) to master their culinary skills. Students have the opportunity to work at Harper’s, a student run restaurant located on campus. At Harper’s, students serve and prepare meals to faculty, staff, students, and the public. Trenholm strives to prepare students for a successful career in the culinary arts. Jefferson State College is a top culinary school, graduating culinary professionals who have the skills and aptitude to be successful in the industry. 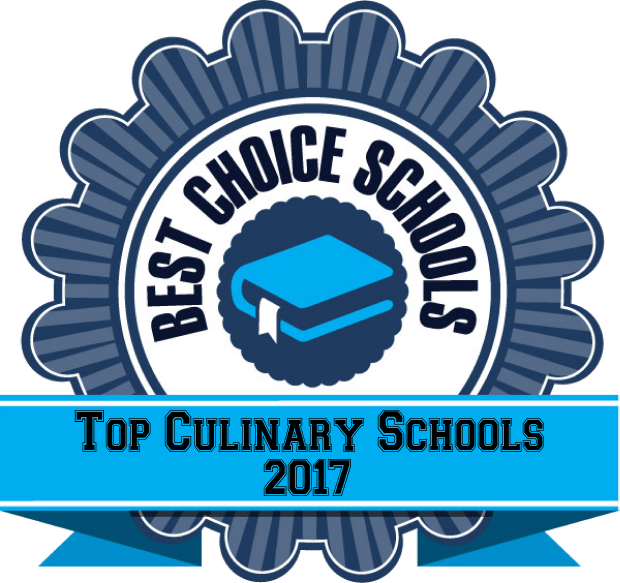 Jefferson State College has the longest running accredited culinary program in the state. Birmingham is one of the top 10 cities in the country in terms of potential growth in the culinary industry and The Culinary and Hospitality Institute strives to meet the need for qualified staff. Students have the opportunity to gain professional experience working in the Bistro proVare, a student run café on campus. An active culinary club gives students the opportunity to network, offer tutoring, and share their passion with the community. The Gulf Coast Culinary Institute at Faulkner State Community College features culinary programs that have received exemplary status from the American Culinary Federation. The AAS Degree program features options in Culinary Arts, Pastry/Baking, Hospitality Management, and Event Planning. Students learn the fundamentals of modern classical cooking through classroom and lab experienced. Students have the opportunity to participate in exciting professional opportunities such as culinary study abroad programs. In 2016, select culinary students spent three weeks in France studying French cooking. GCCI students learn the art behind cooking, not just how to produce a dish from a recipe.